As more positive success stories and use cases emerge, and the general buzz around chatbots continues to grow. Businesses are lining up to launch a bot that can have an impact on their customer satisfaction, the bottom line and help improve their efficiency. Here are five ways to keep those early projects on track and reaching for the best result. We see daily new launches for chatbots, and growing numbers of success stories. One of the latest is from mobile operator Vodafone, who’s TOBi chatbot in one month has helped reduce the time for customers to check out by almost half on average, while doubling conversion rates, improving brand scores and more. That’s big savings and a revenue boost, driving other telcos, medical practices, colleges and all types of businesses to get on the chatbot bandwagon. While that level of success requires time and investment, chatbots remain a tool that are quick to create and deploy thanks to the cloud. However, bear in mind the following strategies and tips to ensure a solid focus and high-quality bot. Don’t just rehash a customer service script or hack together some answers to questions you think customers ask. Do research on all types of interactions your business has with people. Ensure the chatbot delivers on the common questions, but look for variations, higher quality answers and build a script that flows logically. Providing a pleasing conversation with socially acceptable introductions and outgoings to make even a straightforward interaction feel pleasant and welcoming. However, do remind people they are talking to a bot. Also, ensure that there are paths to a real person to provide help if the chatbot can’t either by message, email or even phone, depending on your business. Conversations with people when it comes to products or business are full of “Oh, I didn’t know that” or “thanks for the tip!” moments. When creating a name and image for the bot, ensure it has a helpful aspect beyond the stock information it provides. That can be in the form of images and video, not just text to liven up a chat. Going the extra few seconds in a conversation with a reminder or other useful piece of information makes the difference between someone dealing with a just another bot, and adding some value to their day. Some bots go high on the experience factor with humor and strong use of knowledge to create strong interactions. 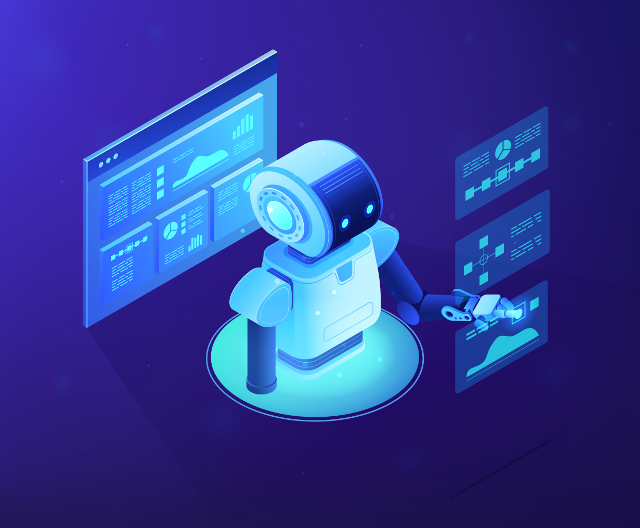 The use of natural language programming (NLP) can also help, as the bot recognizes words and phrases, and can be taught how to respond to them appropriately. If the person senses that the bot is “listening” to them, they are more likely to be responsive and come back to the bot. Some users are still worried about their safety online, so make sure your bot has its credentials for safety and security on show. Explain what happens to any data, and how it will be used. Also, highlight how the bot can remember conversations or access third-party data if it has such features. Lastly, don’t pretend there’s a human on the other end of the keyboard. Tell people they are talking to a bot, explain the benefits to them and your business if people ask, and show that the bot is a key part of the business, not some outlying feature you are testing, otherwise people won’t come back to it. The above section should all be a part of the bot, but your external marketing needs to highlight all those features as well as the customer and business benefits of the bot. Certainly, tout its features and AI capabilities, but do so in plain English so non-technical types will understand. Your company should continue to promote the bot after launch, updating it with new features or improved chat. Leaving a bot to “see how it does” is a shortcut for failure. Internal knowledge and marketing across the business should help workers understand why the bot exists, what the benefits are and plans for the future. That way they will be more inclined to accept and embrace it. Your bot is a 24/7 machine that can reach across the world but will need to be able to translate conversations if you’re going to sell or deal on an international basis. Invest in translation facilities to make it a global bot. Also, be ready to add voice features so it can act as, or integrate with a virtual assistant. These technologies are merging fast, and people will soon assume all bots are capable of being accessed from any device, be it voice-only, touchscreen or keyboard. Ensuring your bot is ready for the future will help position it for success. Follow the basics, while getting the details right for your bot and it stands a better chance of success, as competition heats up.